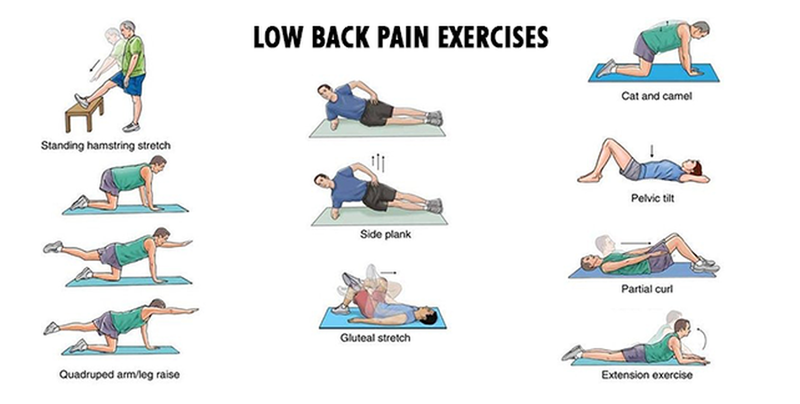 If you suffer from lower back pain, you're not alone. Lower back pain is a serious issue that affects millions of people every year. In fact, it's the leading cause of disability worldwide. Whether your lower back pain is caused by an old injury that never healed properly or is a symptom of a condition like arthritis, there are options out there that can help lessen your pain and improve your quality of life. Read on for seven great tips that will help you find the lower back pain relief you're looking for. 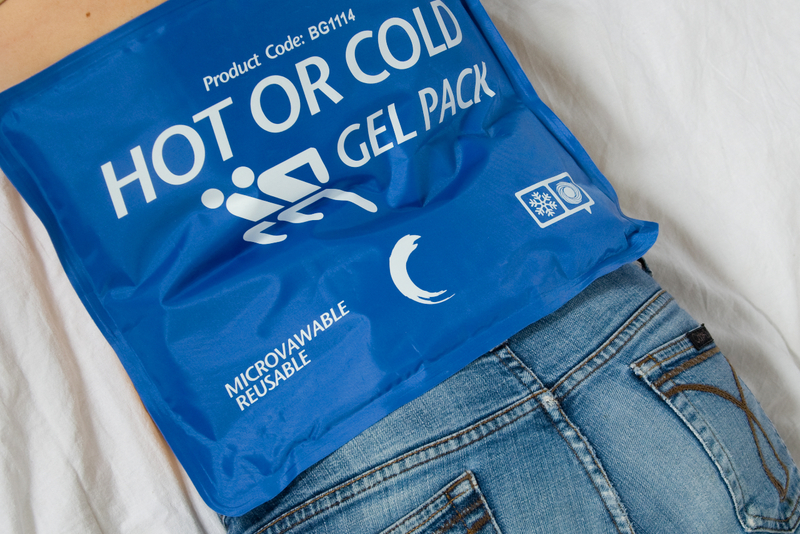 If you're dealing with acute low back pain -- from a sudden fall or another injury -- hot and cold therapy is one of your best options for low back pain relief. Ice will prevent swelling and numb the low back to reduce your pain. Start with ice for the first 48 hours after the pain starts. Apply it to your low back in twenty-minute intervals throughout the day. Don't leave it on longer than that, though, as this can end up slowing down the healing process. After 48 hours, begin to alternate between ice and heat. Heat will loosen up tight muscles and increase circulation to your low back. This can bring extra oxygen to the tissues and promote faster recovery. One of the most common causes of low back pain is an old, uncomfortable mattress. There aren't any hard and fast rules when it comes to changing your mattress. But, if it's starting to sag in the middle, or if it's more than 6-8 years old, you may want to consider replacing it. Everyone has different preferences when it comes to their mattress. But, research shows that medium-firm mattresses are typically the best for people who struggle with low back pain. People who sit at a desk all day for work tend to have tight hamstrings, hip flexors, and glutes. They're also more likely to struggle with lower back pain. Tight muscles can wreak havoc on your low back. Everything in the body is connected, and, if you lack mobility in one area, it's not uncommon to experience pain somewhere else. Start by sitting on a chair with one ankle placed on the knee of your opposite leg. Grasp the knee and gently lean forward as you twist your torso toward it. Stand next to a wall or door frame. Then, take the ankle that is closest to the wall and place it on top of your opposite knee -- like you did in the seated piriformis stretch. Turn your torso toward the elevated knee and hold the door frame to help you twist further. Start on the ground on all fours. 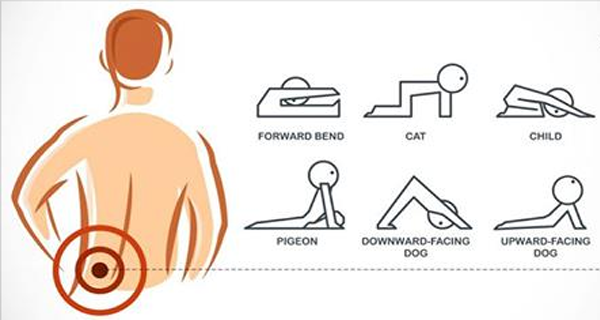 As you inhale, arch your back and lift your tailbone and chin toward the ceiling. When you exhale, tuck your chin and tailbone and hollow out your stomach so your back is arched like a cat's. Avoid over-stretching in either position -- the goal is to move fluidly without any tension. Flexibility is important when you're looking for lower back pain relief. But, strength matters just as much. If the muscles that support the lower back are strong, you'll have an easier time maintaining proper alignment and posture. This will help you speed up recovery and decrease your risk of injuries. Start by lying on your back with your knees bent and feet flat on the floor. They should be about hip-distance apart. Press into the floor with your feet and lift your hips as you squeeze the glutes. Don't arch your lower back -- make sure your upper thighs and torso stay in a straight line. Anchor a resistance band to a sturdy object, like a table or doorframe. Then, pull the band tight and clasp it in both hands. Rotate your torso away from the object to which the band is anchored and avoid using your arms to pull the band. All the movement should come from your core. Start kneeling on all fours, like you did for the cat-cow stretch. Then, walk your feet back behind you so that your body creates a straight line from the head to the heels. Keep your abdominals pulled in to support your low back. Getting regular massages have been shown to provide significant lower back pain relief and improve mobility and functionality. Massage helps loosen up the muscles in and around the low back to relieve pain and tension. It also can break up scar tissue to reduce inflammation and speed up healing. In addition to these benefits, massage can also increase the body's production of serotonin and dopamine, two neurotransmitters that are associated with positive feelings. It lowers cortisol levels, too, which helps relieve stress and tension throughout the body. The mind is more powerful than many people realize. 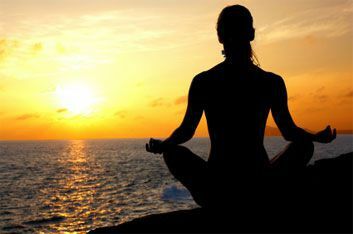 Mindfulness meditation can provide lower back pain relief by changing the way you perceive your pain. Research shows that people who meditate regularly experience significant decreases in the intensity of their pain. If you've never meditated before, don't worry. It's easier than you think. You don't have to sit in an uncomfortable, cross-legged position on the floor to reap the benefits. Just sit in a comfortable position, close your eyes, and focus on your breath. Just spending five minutes a day meditating can have a big impact on your pain. 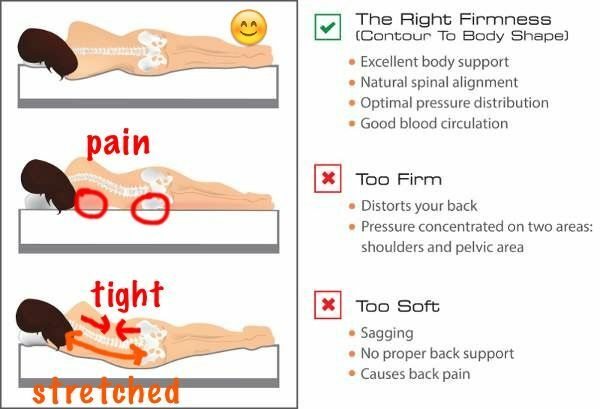 A chiropractor uses a variety of techniques, including manual adjustments, to realign your spine, improve your range of motion, and relieve your lower back pain. An adjustment involves using controlled force to manipulate the joints. Adjustments are not painful, but it can take a few sessions to get used to the sensation of having your back cracked. In addition to manual adjustments, many chiropractors also offer additional services like massage, physical therapy, acupuncture, and nutrition counseling. The results of several studies show that chiropractic treatment is very beneficial for treating lower back pain. In fact, it's just as effective as other popular pain-reducing interventions. Why Can't I Just Take Painkillers? Well, technically, you can take painkillers for lower back pain relief. The problem with this approach, though, is that pills merely mask your symptoms. They don't actually get to the root of your back pain. There are also a lot of risks that come with taking painkillers -- both prescription and over-the-counter varieties -- for an extended period of time. Prescription painkillers are extremely habit-forming, and many people end up becoming dependent on these drugs to relieve their pain. It's also dangerous to stop taking NSAIDs suddenly. This increases the risk of developing blood clots, which, in turn, adds to the risk of experiencing a stroke or heart attack. As you can see, painkillers are not exactly a safe option, especially when it comes to treating chronic lower back pain. They shouldn't be your first resort -- try the treatment methods above first to figure out what's actually causing your pain. It's important to remember that it's almost always easier to prevent lower back pain than it is to find lower back pain relief after an injury has already occurred. This might seem like a lot of changes to make all at once. But, remember that small changes add up over time. Even if you just make one or two tweaks to your lifestyle, that's a great place to start. If you stay consistent, you'll still be taking steps toward preventing back pain. Are you ready to find genuine lower back pain relief without relying on habit-forming, potentially dangerous drugs? Do you live in the Ancaster, Ontario area? If so, book an appointment with us at Ancaster Chiropractor today. 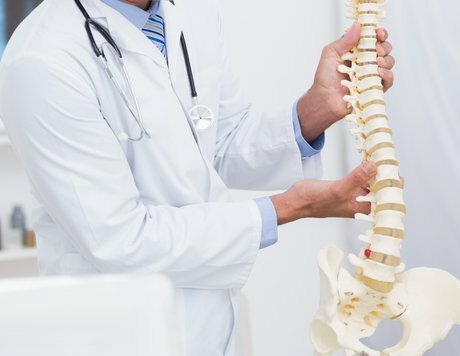 I offer a variety of services that can help you find the lower back pain relief you're looking for, including chiropractic adjustments, acupuncture, active release technique, and more!